When choosing a dentist, it’s good to find a single practice that offers a variety of comprehensive dental services for your family. You and your family already have enough going on in your busy lives without having to run to different dentists to receive all the services your family needs. Dr. Skinkys has completed extensive continuing education and is committed to providing you with the most current, state-of-the-art treatments available. Our goal is to show each of our patients outstanding customer service and high-quality dental treatments that deliver results. We are proud of our team’s ability to connect with our patients to create long-lasting relationships that are centered on excellent oral health. 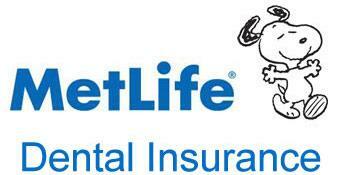 We accept Cigna, Delta Dental Premier, Met Life and Care Credit. We also offer an in-house dental plan. We enjoy working with your entire family, from toddlers to seniors. If a member of your family has special needs, we are equipped to handle their treatment safely and effectively. Dr. Skinkys gained experience working with special needs and medically compromised patients in a hospital setting. His compassionate and caring approach enables him to care for these patients with appointments that provide results. Our services include preventive treatments like dental cleanings and exams, which are important at any age. These services help us stay one step ahead of problems, like periodontal disease, that can ruin your oral health. If you get a cavity, we need to restore the tooth with a filling to keep it strong and healthy. Our tooth-colored fillings repair the cavity, restore function, and look completely natural. Crowns and bridges are other dental restorations we offer that will return your smile to a whole and healthy condition. Dental implants are the standard for tooth replacement, and we can use them to replace a single tooth or multiple missing teeth. Dental implants can also be used to provide support for bridges and dentures. Suffering with the symptoms of TMJ can truly disrupt everything about your life. You haven’t got time for the pain, and we’ve got straightforward solutions that will relieve your symptoms and help you get your life back. Everyone wants to smile with confidence, and we offer a variety of cosmetic options to help you enjoy the smile you’ve always wanted. Teeth whitening is the fastest, easiest way to refresh your appearance in as little as one office visit. We offer both in-office and take-home professional teeth whitening for your convenience. If you’re looking for a solution for crooked teeth, you’ll be pleased to know that Invisalign clear braces can straighten your smile in as little as one year. If you’re one of the many people who suffer from dental anxiety, you know how challenging it can be to keep up with even the most basic treatments. Today we have more sedation options than ever for keeping you calm so that you can relax and get the important care you need. Dr. Skinkys is licensed by the state of Illinois to perform safe, effective sedation. Our team is sensitive to the needs of our fearful patients, and we go out of our way to put you at ease. We will take the time to get to know you so that you can be confident knowing that you’re with friends who care about your well-being. We know that you’ll be impressed with our friendly, personalized approach. Our team loves getting to know our patients, and we can’t wait to meet you. Together we’ll help you achieve optimal oral health!